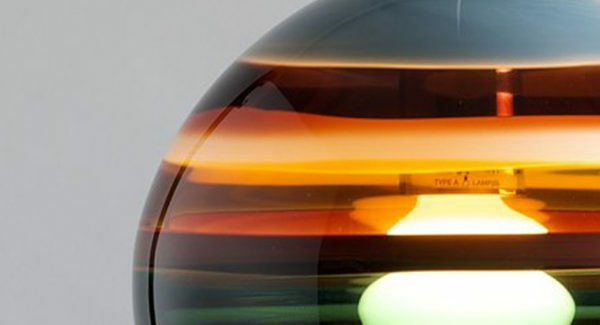 Alternating layers of opaque and transparent colors are applied to clear glass. Overlaps create opportunities for new colors to be formed, adding depth to the pieces. Intense colors are complimented by the simple shape. These hand blown glass pendant lights are shaped in lead free crystal, right here in Orange County, California.